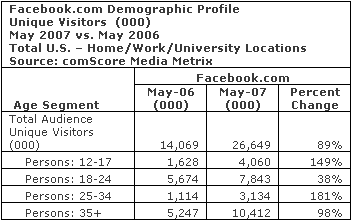 Comscore has reported some interesting stats on Facebook, shedding light on the site’s growth after opening up last September and their demographics. 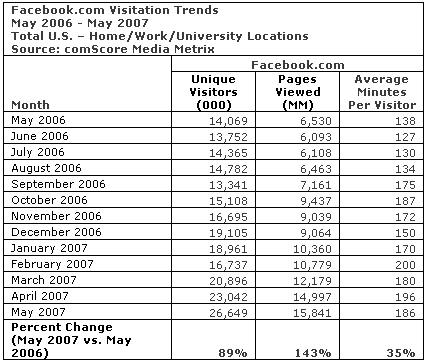 Over the past year (May ’06 – May ’07), Facebook saw an 89% increase in unique visitors to the site at 26,649,000 uniques, with a 143% increase in page views at 15.8 billion. 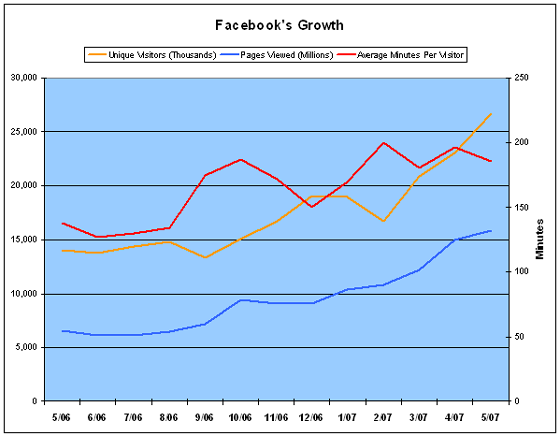 The site’s stickiness has increased and then tapered off at about 190 minutes per average user. 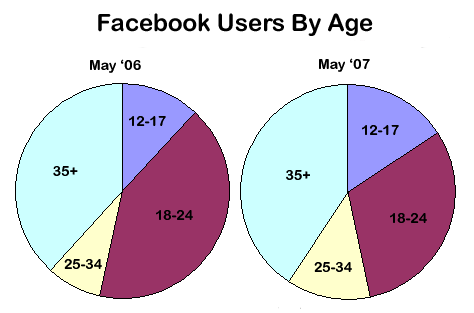 The site has also seen a demographic shift toward teens and post grads as it moves out of the college crowd. Maybe that’s the reason Robert Scoble is getting so many friends requests.